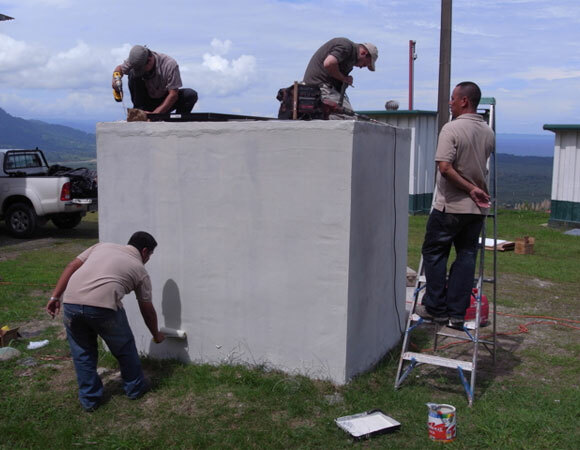 During a two week trip in November 2011, two additional continuous GPS stations were installed to complete a network designed to measure the deformation of the Panama tectonic block. This project is part of ongoing research on the geodynamics of the plate tectonic regiem in Central America. One of these stations is also part of a larger National Science Foundation project called COCONet. Once completed, the COCONet project will provide data on plate deformatoin, weather and climate across the Carribean region. Additional reconnasaince for two new COCONet stations and network maintenance tasks were also completed during the trip. 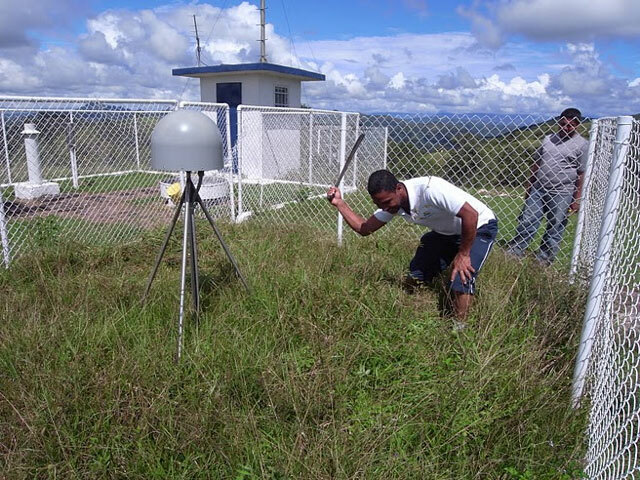 Data from the GPS sites will help to evaluate the geodynamics of ridge collision on fore-arc deformation and strain partitioning on the Caribbean Plate and Panama block. 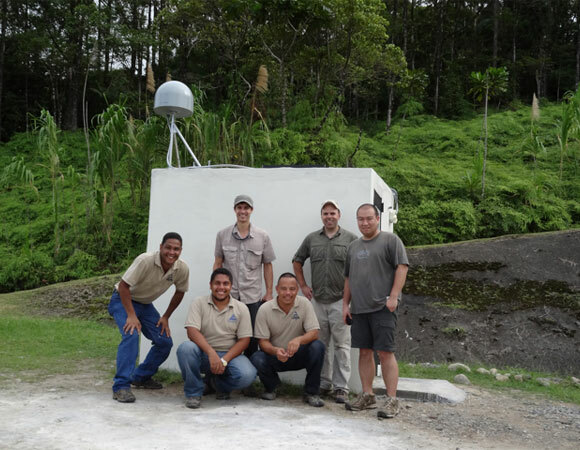 An array of permanent GPS stations are installed at various locations in Panama to collect a continuous time-series of data on ground position movements. The new stations augment and expand an existing array of semi-continuous GPS monuments. 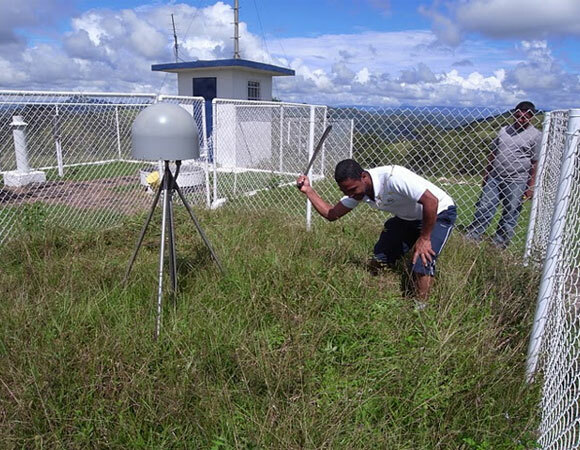 These new data will aid in the understanding of crustal motions in Panama and also help improve assessment of earthquake hazard on active faults in Panama.